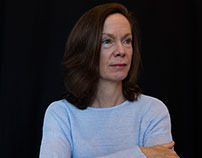 Board-certified psychiatrist Dr. Susan Turner received her BA in comparative literature from Princeton University, MA in cultural anthropology from Emory University, and MD from Columbia University College of Physicians and Surgeons, where she won the Barbara Liskin Memorial Award in Psychiatry. Dr. Susan Turner completed a psychiatry residency with chief resident status at Columbia Presbyterian Hospital and the New York State Psychiatric Institute (NYSPI). Following her postgraduate training, Dr. Turner served as an attending psychiatrist at Columbia Presbyterian Hospital. She later taught medical students at Columbia Medical School as an assistant clinical professor. As the associate medical director for the Columbia Presbyterian Day Treatment Program, she focused on psychopharmacological treatments for outpatients. She has also functioned as an attending supervisor for the NYSPI Resident Clinic and a preceptor for second-year psychiatry residents at Columbia University and NYSPI. Dr. Susan Turner belongs to the American Psychiatric Association. She co-authored a chapter on the treatment of depression and mania for the 2009 book Principles of Inpatient Psychiatry. Currently, she maintains an interest in research on the relation between exercise and mental well-being. Outside of her professional pursuits, Dr. Turner enjoys attending New York City’s theaters, galleries, and museums. She also engages in a regular fitness regimen that includes middle-distance running, yoga, and weightlifting.